The Center for Disease Control (CDC) reports that each year nearly 1.5 million people in the United States suffers a brain injury. The CDC also found that currently, more than 5 million Americans have required prolonged hospitalization or long-term medical care because of traumatic brain injuries. Frekhtman & Associates represents victims of traumatic brain injuries, head injuries, and other types of personal injuries within New York City, Bronx, Brooklyn and Queens. A traumatic brain injury (TBI) is often caused by a blunt force impact with some outside entity. A TBI can occur as a result of different types of accidents including: car accidents, construction accidents, trip and fall, ceiling collapse, and many others. Mild traumatic brain injury, or MTBI, usually refers to those injuries where loss of consciousness lasts less than thirty minutes. 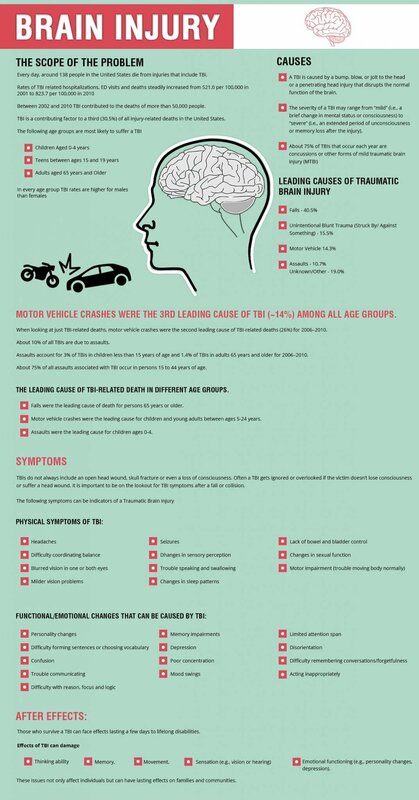 Symptoms of mild brain injury include headaches, difficulty concentrating or thinking, short-term memory loss, attention problems, irritability, depression, frustration, and sudden variations in mood. MTBI is often overlooked or not properly diagnosed. A serious or severe traumatic brain injury usually occurs when the individual has lost consciousness for a period greater than half an hour. This is often accompanied by memory loss for more than one day. The resultant symptoms range from decreased ability to think clearly and function, to a state of complete comatose. Survivors of a severe brain injury may have lost the ability to control body movement such as the use of their arms, legs, and the ability to speak clearly. Emotional distress, anger, and depression are additional symptoms. One of the difficulties of prosecuting a “minor” closed head injury claim is the absence of traditional, objective, medical evidence. Frequently, in rear-end impacts or other types of deceleration trauma, there is a brief loss of consciousness, which may or may not be recalled by the claimant. It is not uncommon for the traditional diagnostic tests to be within normal limits. Employment Records – A complete employment file with particular reference in performance reviews, pre and post trauma. Additional focus on the employment records as they reflect unscheduled absences, sick days, or other references to the failure to meet deadlines. School Records and Transcripts – Complete transcripts from all educational institutions. Of particular significance is the reference to any standardized tests and the scoring on the same, both pre and post trauma. The Glasgow Coma Scale (“GCS”) is a common test used by physicians to diagnose whether a brain injury is mild, medium, or severe. This scale helps doctors care for the brain injury patient, formulate a medical treatment plan, and more accurately predict the future prognosis and quality of recovery. Several weeks later, another scale called Rancho Los Amigos is used. This scale of eight levels of brain injury is based on objective observations of the brain injury survivor’s reactions. It is necessary to orient the lay jury into the gross and microscopic anatomy of the brain, the surrounding structures, and the brain itself. This gives the lay jury an understanding of how the trauma involved in a closed head injury case has resulted in the psychological behavior changes manifested by the plaintiff. The use of medical illustrations depicts both the anatomy of the skull, brain, and the mechanism of closed head injury. 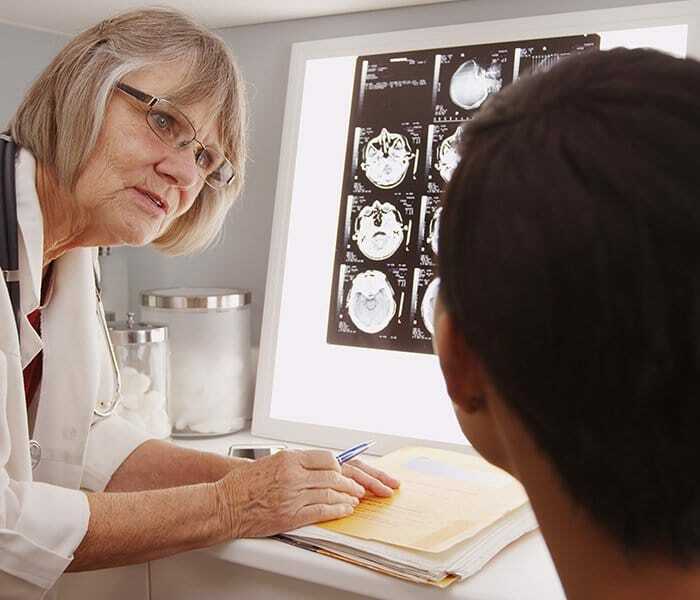 The brain injury lawyers at Frekhtman & Associates develop each client matter as a medical legal team that includes attorneys, neuropsychologists, neurologists, neuro-radiologists, and other top brain injury specialists. Frekhtman & Associates charges no fee unless we first recover money for our clients. We pay for all expenses while prosecuting a brain injury lawsuit through the courts. Our firm’s trial lawyers have been successful in winning some of the top verdicts and settlements in New York as is reflected on our Verdicts page. Feel free to call New York Traumatic Brain Injury Attorney at (866) ATTY LAW or fill out the online contact form on top on the page.